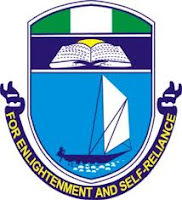 The Offshore Technology Institute, University of Port Harcourt (OTI-UNIPORT) is a postgraduate energy institution offering educational support and direction to the Oil and Gas Industry through the development and delivery of leadership, management and technical education specifically relevant to the Offshore and Subsea industry. The Institute partners appropriate government and non-governmental agencies, oil industry operators and service providers in the realization of providing skilled and competent manpower resource at postgraduate and professional levels relevant to the needs of the energy industry. The M.Sc. Programmes include Pipeline Engineering, Offshore Engineering and Subsea Engineering in collaboration with TechnipFMC Technologies. The environment in the Institute is conducive for learning. Students have access to audio visual aids, e-learning and internet facilities. Students undergo: 3-months internship in relevant companies, underwater training such as BOSIET/HUET and field trips. Students are encouraged to live and work together thereby enhancing the development of team spirit. The Teaching Faculty consists of Lecturers from the University of Port Harcourt (UNIPORT), other Universities within and outside Nigeria, Lecturers from Professional Institutions abroad, as well as experts from the Industry. Candidates must possess a minimum of Bachelor’s Degree, Second Class Honours (Upper Division), in any branch of Engineering and should have completed their NYSC before July, 2018. Consideration may be given to Sponsored Company Staff with minimum of 5 years relevant experience with a minimum CGPA of 3.00 on a scale of 5.00. OTI-UNIPORT Postgraduate Benefits & Duration. Work methodologically and logically to solve real-life problems in the face of conflicting requirements. Duration: The Programme shall be 12 calendar months of intensive full time study or 48 months of flexible Part-Time study. Award of Degree: Upon completion of the programme successful students shall receive a Masters’ Degree (MSC) awarded by the University of Port Harcourt, Nigeria. Professional Certification: Students will be presented for Offshore Petroleum Training Organization (OPITO) Certification. How to Apply for OTI-UNIPORT Postgraduate Programmes. A non- refundable Application Processing Fee of Twenty Thousand Naira (=N= 20, 000) in certified bank draft made payable to the Offshore Technology Institute, University of Port Harcourt. Online payment option is also available on the website. Application Form can be obtained on-line from www.otiuniport.org. The Form should be completed and submitted online. But hard copy of the completed Form along with the Bank Draft should also be submitted in person or via courier to: The Director, Offshore Technology Institute (OTI), ETF Gas Engineering Building, University Park (UNIPARK), P.O.Box 50, Uniport Post Office, University of Port Harcourt, Port Harcourt. Completed Application Forms must be returned to: The Director, Offshore Technology Institute, University of Port Harcourt, on or before Friday, 29th June, 2018. Aptitude Test holds on Friday, 27th July, 2018. Oral Interview for short-listed candidates shall be the same day. For enquiries contact: catherine.okwudiri@otiuniport.org +234 (0)703 442 2101.